Yes, this is me--zombie princess. People have told me I have an interesting personality. Graphic novels are my hobby. When I was younger I didn't like to read. But I loved graphic novels. They were my gateway into reading. I think for other kids who don't like reading, graphic novels can pave the way. I read a ton of them and I want to share my favorites with other kids (And parents trying to buy presents for kids. And teachers or librarians looking for good books to recommend). Teen Anya is trying to survive high school social life when she falls down an old well and meets a ghost. She befriends the ghost named Emily, who takes her down a dark path. I love the artwork in this book. Vera's artwork is clear and simple. She has a way of showing what is going on clearly with her artwork. I think the concept of having a ghost as a friend is pretty cool. 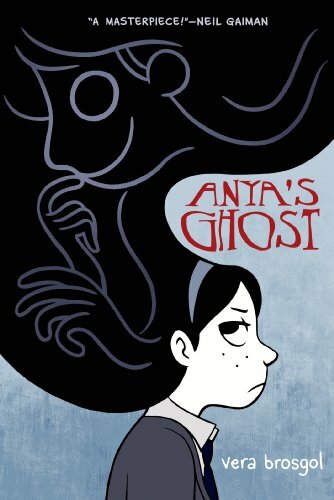 Anya's Ghost is definitely in my top 3 favorite graphic novels--maybe even my favorite. 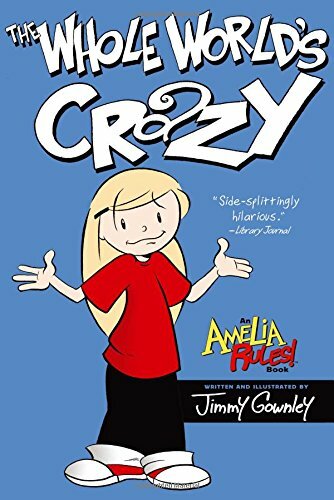 This is an amazing book about Amelia and her crazy imagination. She's a kid who loves to daydream almost as much as her band of fellow "crime fighters." This is a great book about friendship and encourages you to enjoy your childhood to the fullest. If you like the first one, it's one of a huge long series of great graphic novels. Go get the next one. It's also in my top 3 best graphic novels. I have so many great memories from this book. 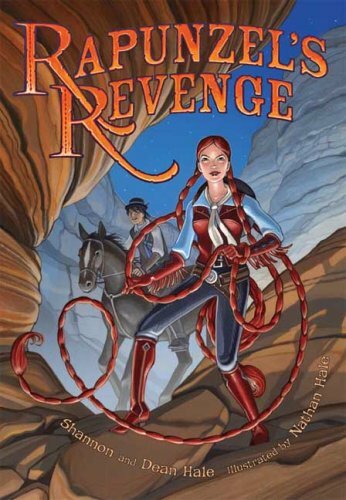 This wonderful Rapunzel spin-off is all about strong female characters and crazy hair skills. After a long, boring life of being locked away, Rapunzel wants to see the real world, not the one her "mother" has made for her. She journeys to find herself and along the way she makes a new friend. She struggles to save her mom and defeat the evil witch. I love this book because I'm all about strong women and Rapunzel, as much as she is a princess, she is also a hero. 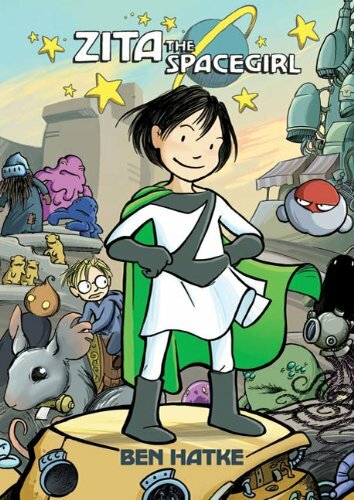 This compelling sci-fi graphic novel is about a girl from Earth named Zita who goes on a long journey across the galaxy to find her best friend and save a planet from a harsh fate. Ben Hatke is one of my favorite artists. I love how adorable all his little creatures are. I love his whole Zita series and he just came out with another book called Mighty Jack. I hope he writes more. Really, you can't go wrong with any of his books. 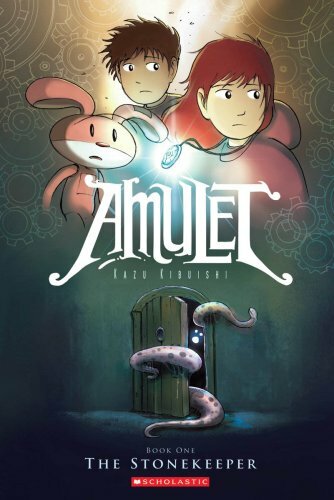 Full of magic, monsters and robots, this wonderful graphic novel really captures the feeling of family when Emily's mom gets captured by a tentacled slimy monster young Emily and her little brother Navin go on a challenging mission to save her life. The whole amulet series is amazing but, kind of scary so if you get scared easily I think you should probably wait a little on this book. Callie loves plays and drama and as much as she would love to be in her school's production of Moon over Mississippi, she can't. Callie has been cursed with lack of musical talent, so instead she works with stage crew. 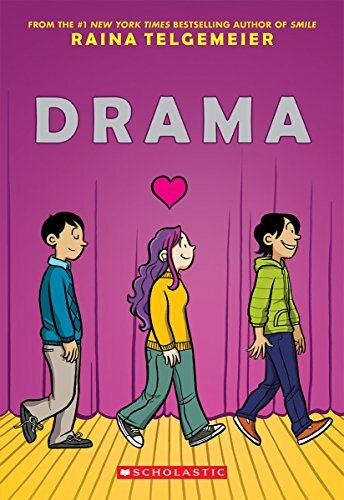 Almost anyone who has read any graphic novels has heard of Smile, but not to many have heard of Drama. As much as I love Smile I think I might like Drama just as much maybe even more. Cam is a very imaginative kid with very few friends. for his birthday his dad buys him an enchanted cardboard box and decides to cam build himself a friend and accidentally makes a real one along the way. 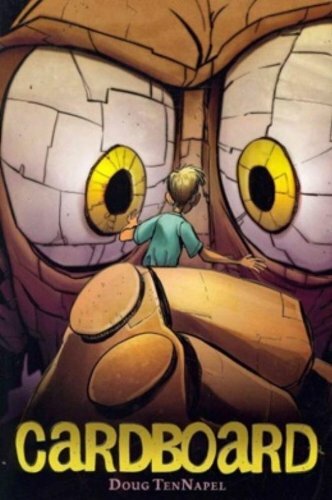 Cardboard is my favorite book by Doug TenNapel but he also wrote so many other great graphic novels. 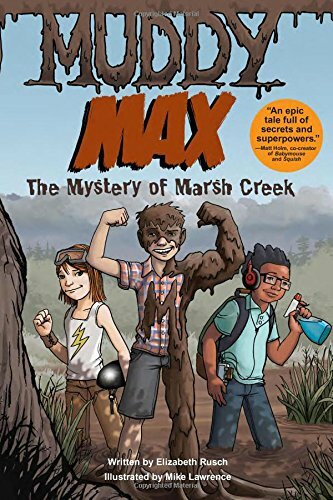 Max's parents always told him to stay away from the mud, which confused him because they lived in a town called Marsh Creek, the muddiest town in the country. One day he swallowed some mud and all of a sudden it gives him super powers. This story is all about friends, family and a little bit, no, a lot a bit of mud. I really like Muddy Max. I definitely think it is an easy read for a lot of ages and personalities. I just got the illustrator Mike's new book, Star Scouts, at a book signing where I met him and author Elizabeth. 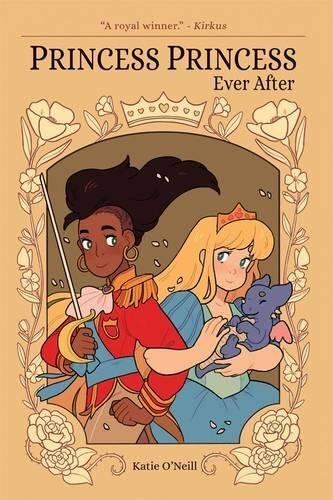 Princess Princess Ever After is about two princesses who find each other and fall in love. Princess Amira journeys to Princess Sadie's tower and rescues her. Little does she know that Sadie's evil sister is tracking them, plotting Sadie's doom. This graphic novel is different from any I've ever read before. The main characters are two strong, feminist women, a prince, and a fat little dragon named Oliver. Alanna's brother Hamel always brings her along when he goes hunting so she can pick fruit and other plants for their dinner. On one particular hunting trip, Hamel is about to shoot a deer but Alanna feels sorry for it, so she drops an apple on Hamel's head. He sends her away so he can continue hunting--thats when she stumbles into a cave full of dragon eggs. I recommend this book to anyone who likes fantasy. 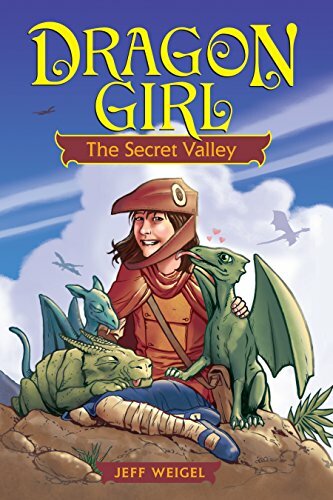 This graphic novel is full of action and comedy and really cute dragons. If you have a graphic novel that you want me to read and recommend, send me an email about it.